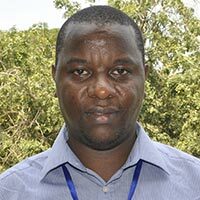 Francis Muthoni, a Kenyan, has joined IITA-Tanzania as a Postdoctoral Fellow– GIS specialist. He holds a BA degree in Geography from Moi University, Eldoret, Kenya (2003) and an MSc in Geo- Information and Earth Observation in Environmental Modelling and Management (2010). He received his PhD in Spatial Ecology from the Faculty of Geo-Information Science and Earth Observation (ITC) University of Twente, Netherlands (2014). Before this appointment, Francis was a Geographical Information Systems (GIS) consultant for the GFA Consulting Group on an IGAD project (April to June 2015). Previously he was a GIS Officer at the University of Cambridge Laikipia Elephant Project (2007 to 2008).